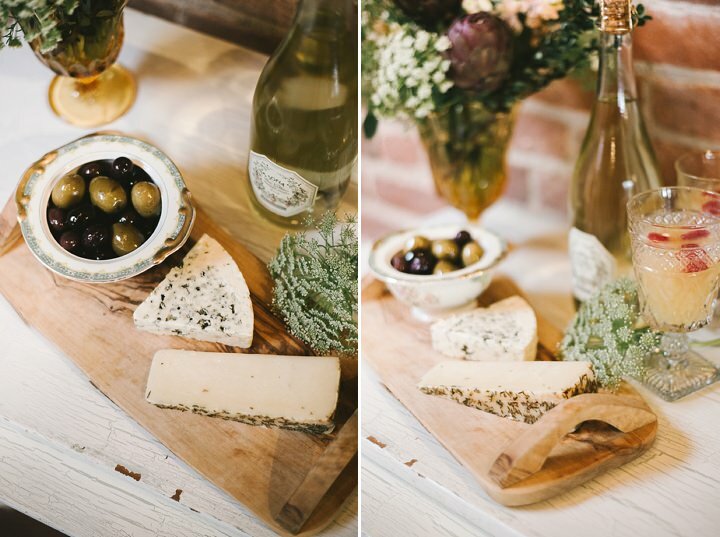 Good Afternoon to you all and I have to say that you are in for a real treat this afternoon. 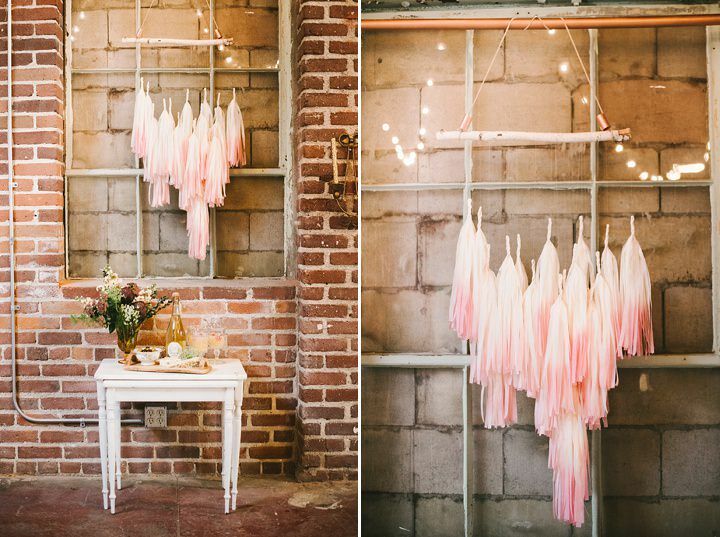 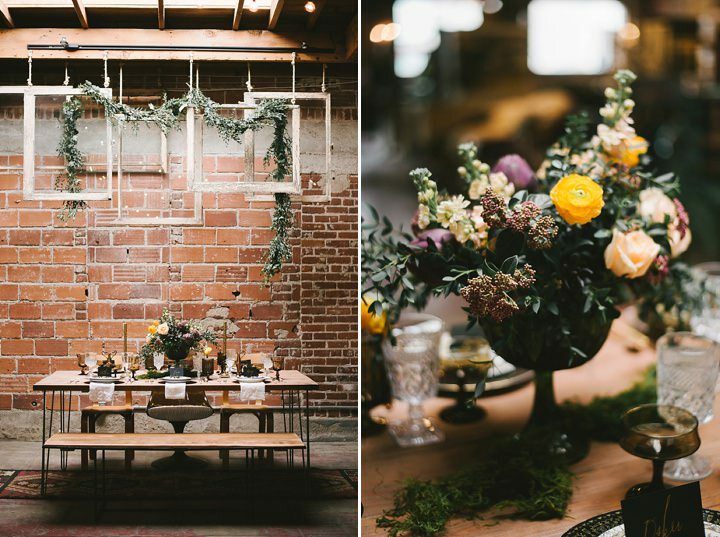 I am a huge fan of Warehouse, Industrial and City weddings. 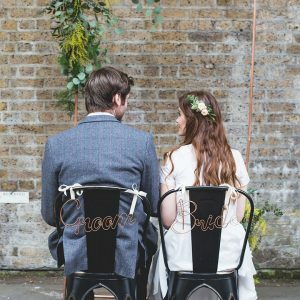 I know many futures brides have asked the question before. 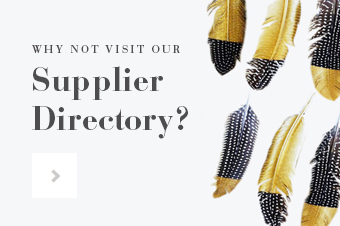 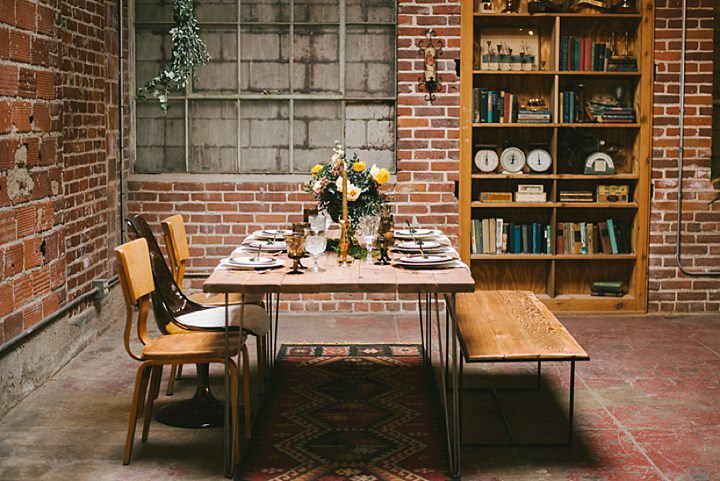 ‘How do we fit Boho into industrial?’. 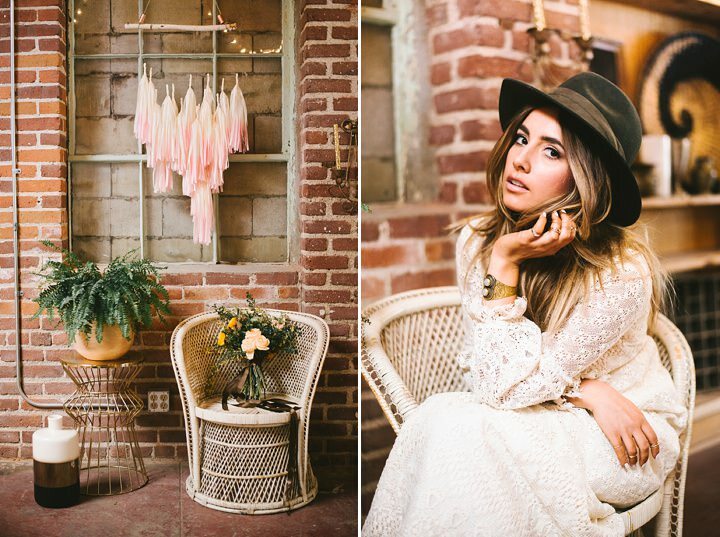 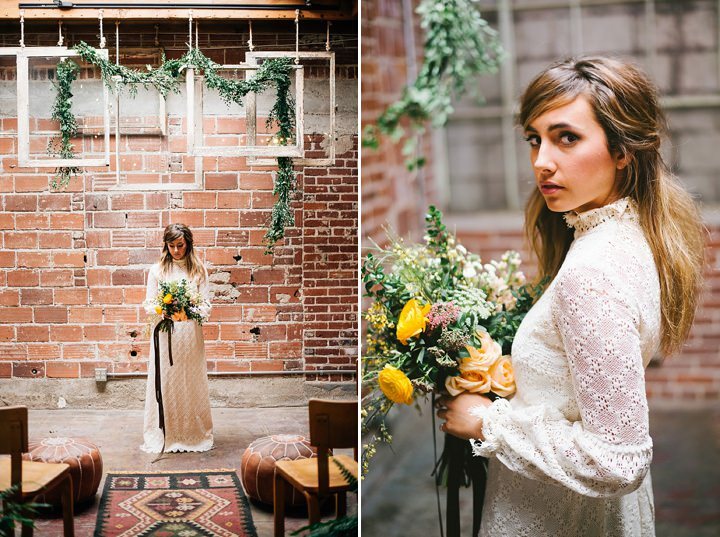 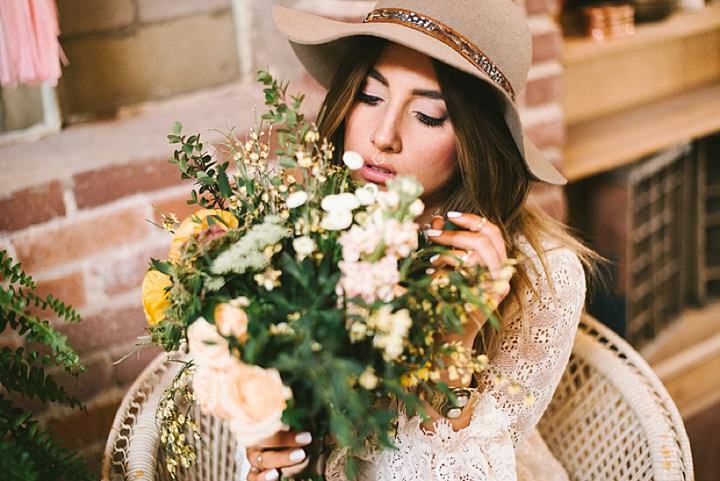 Today’s shoot sent to us by Jenna Bechtholt has absolutely nailed the Boho/Industrial vibe. 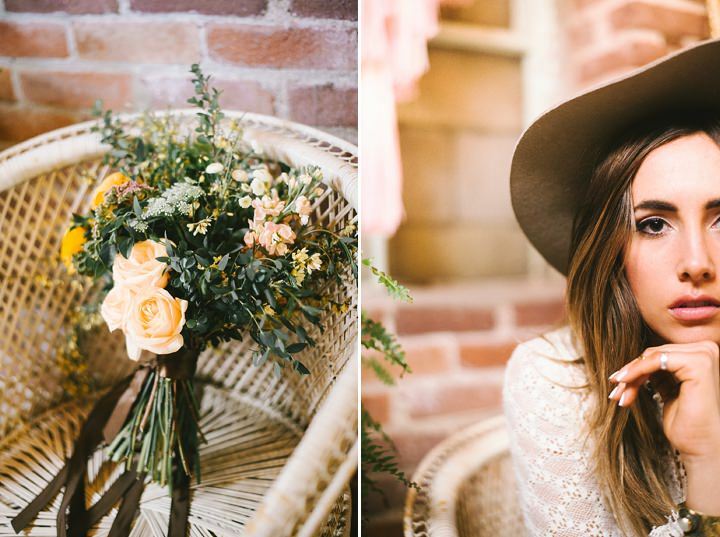 What a truly amazing shoot! 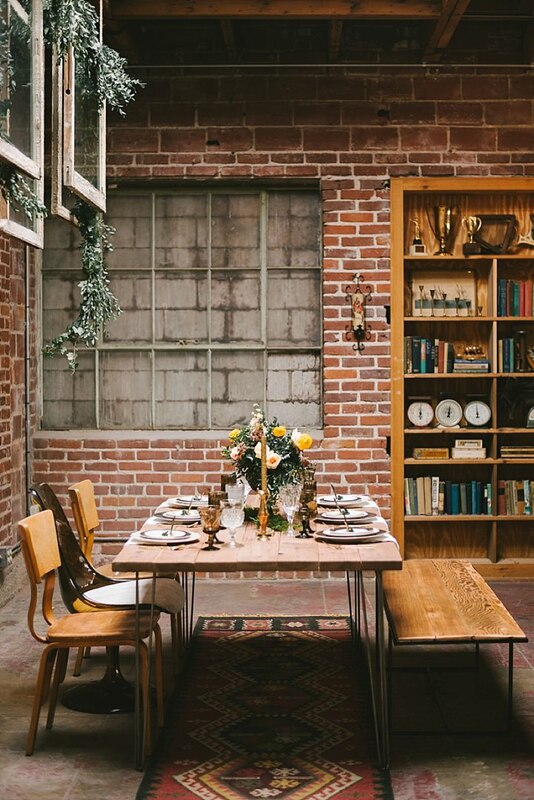 The concept for this styled shoot came about when I was visiting Circa Vintage Rental’s new warehouse at an open house they were having. 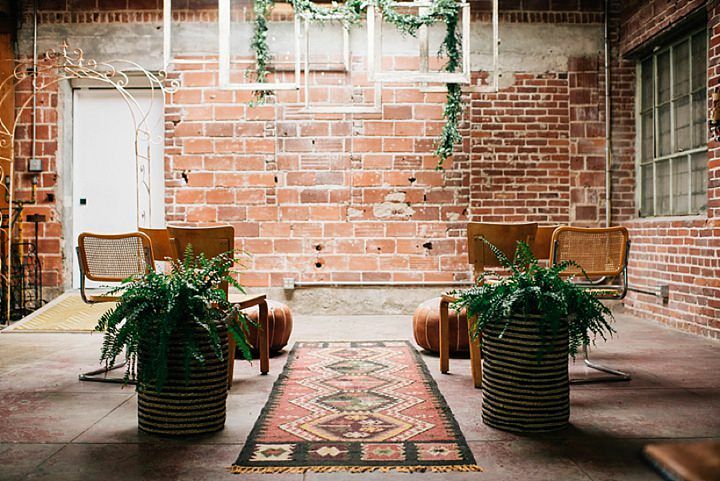 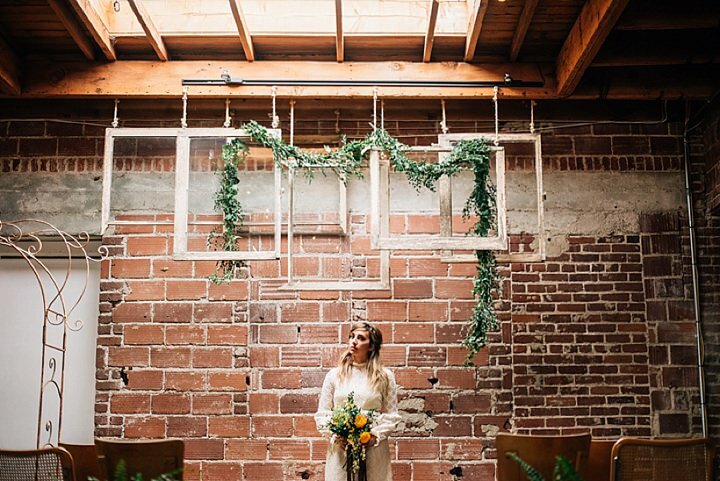 As soon as I saw the exposed brick walls, the skylights and metal-framed windows, as well as all of the unique furniture and trinkets around the shop, I knew it would be a magical space for an industrial bridal concept. 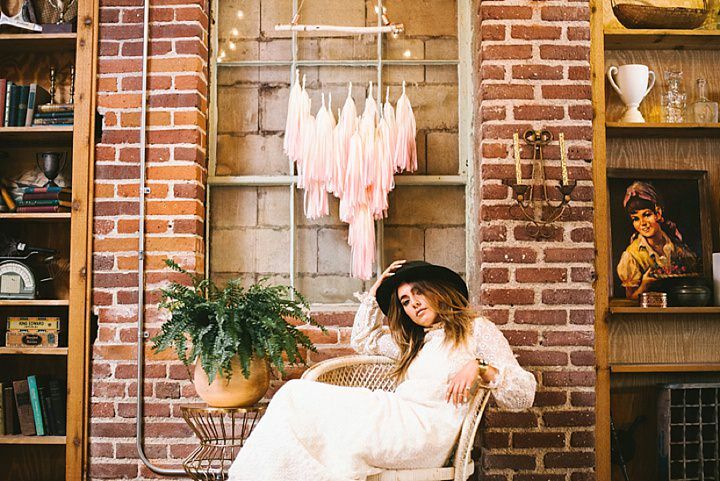 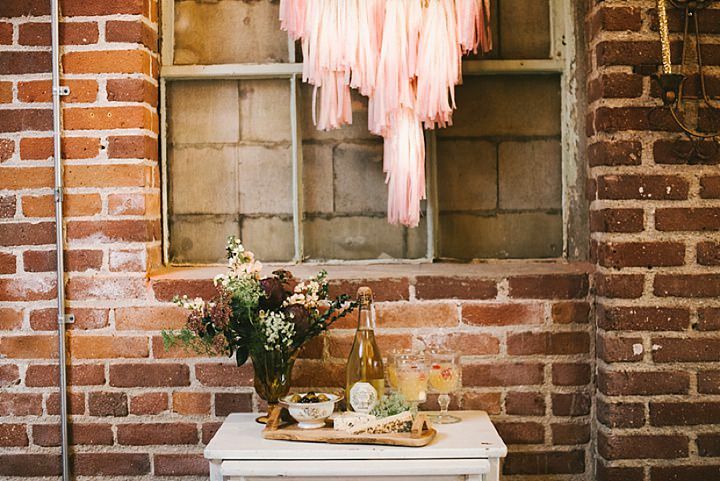 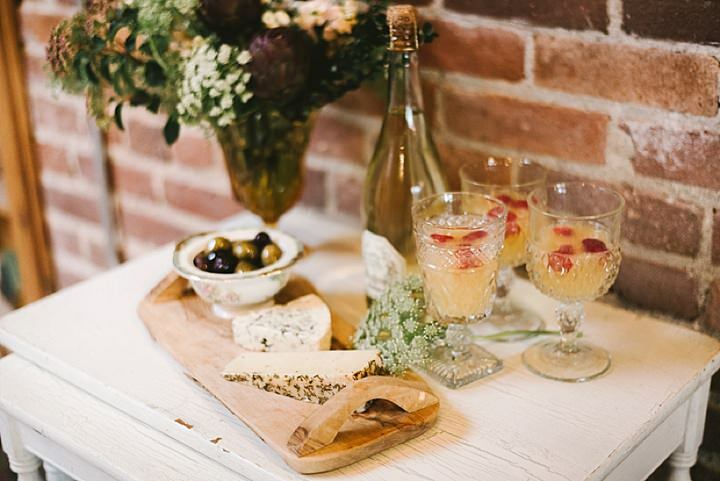 I really wanted Circa’s store to be a large part of this feature because it would be an amazing place for an elopement, bridal shower or a simple dinner party with girl friends! 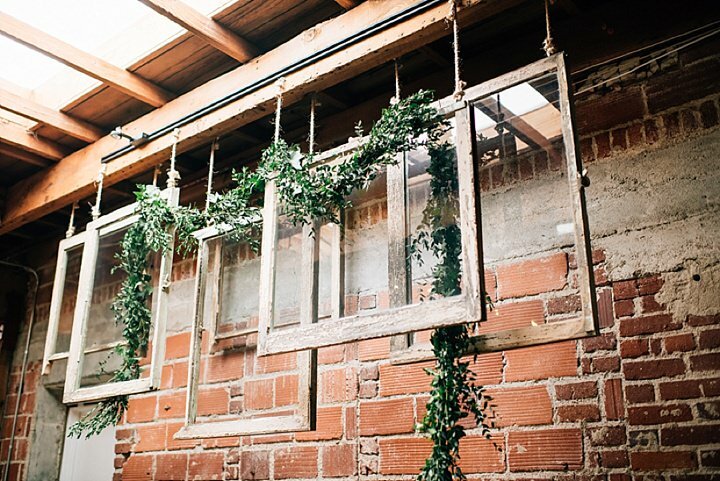 Urban beauty is definitely more recognised and appreciated in today’s wedding world, which makes me giddy with excitement. 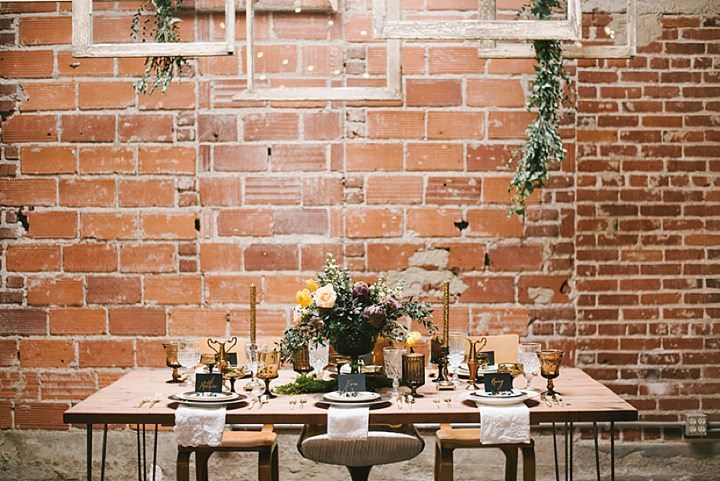 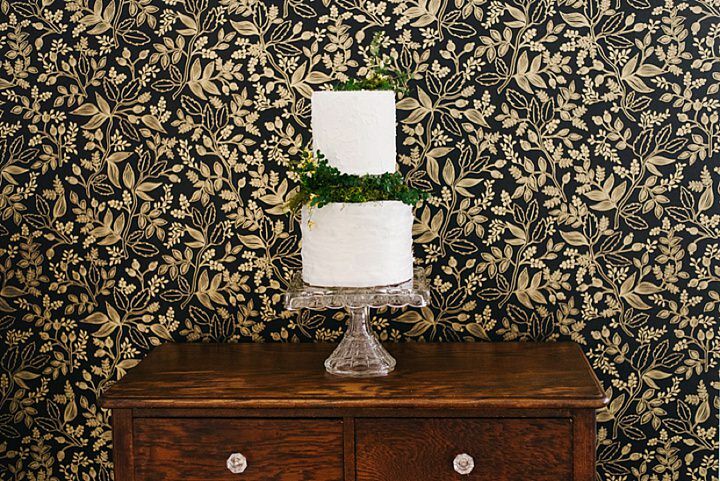 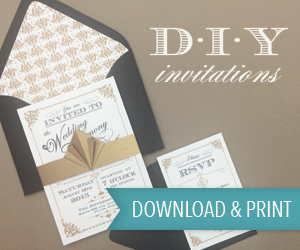 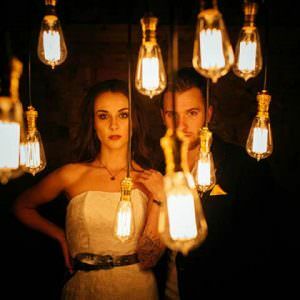 We wanted to create an industrial, retro vibe that could be applied to wedding decor. 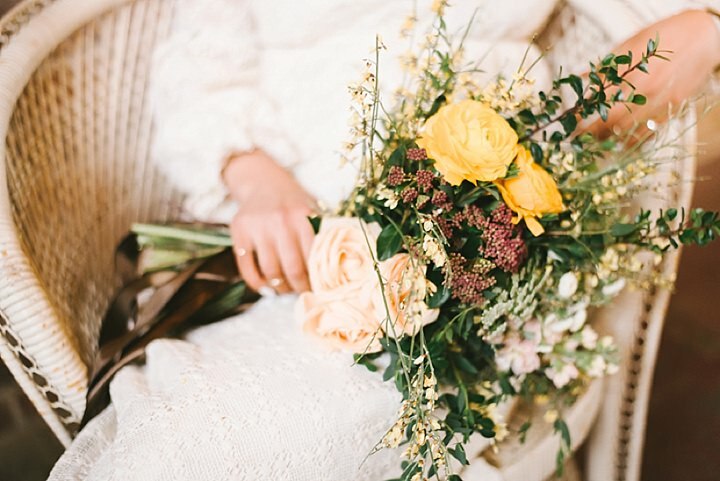 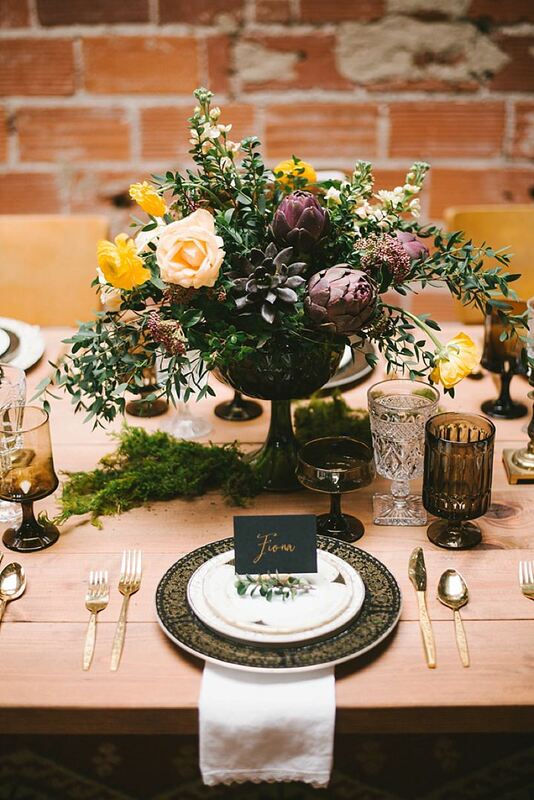 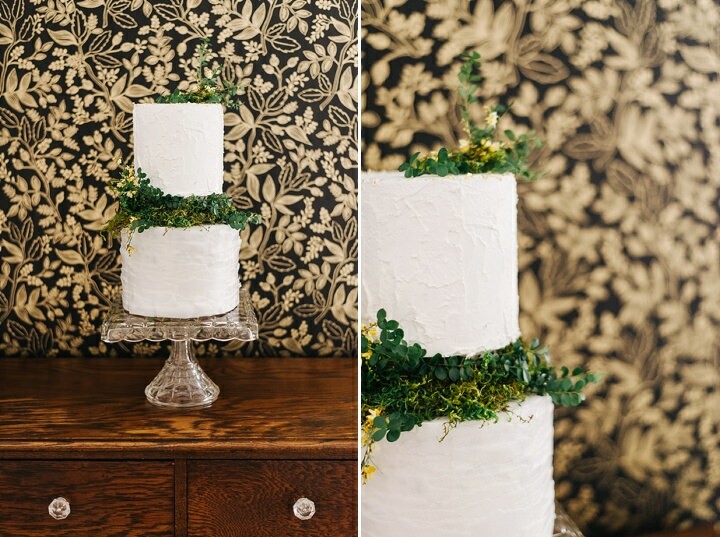 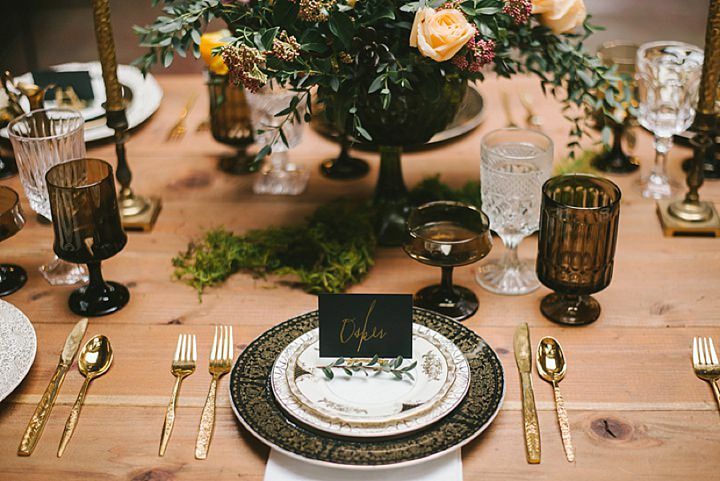 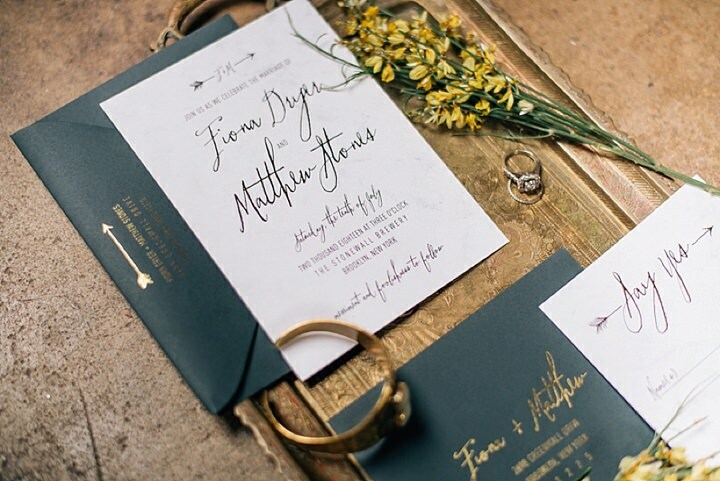 We focused on more muted tones of brown, red and tan with pops of green from the foliage and bits of bright yellow. 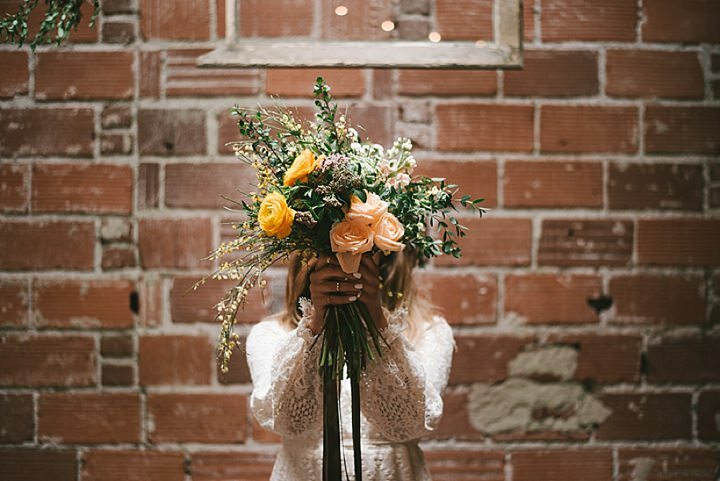 Ultimately our goal was to think outside of the box and show future brides a different way to go about planning their dream wedding. 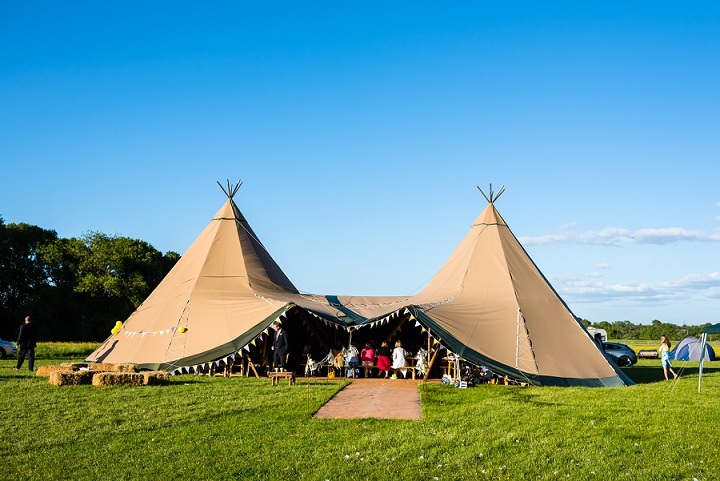 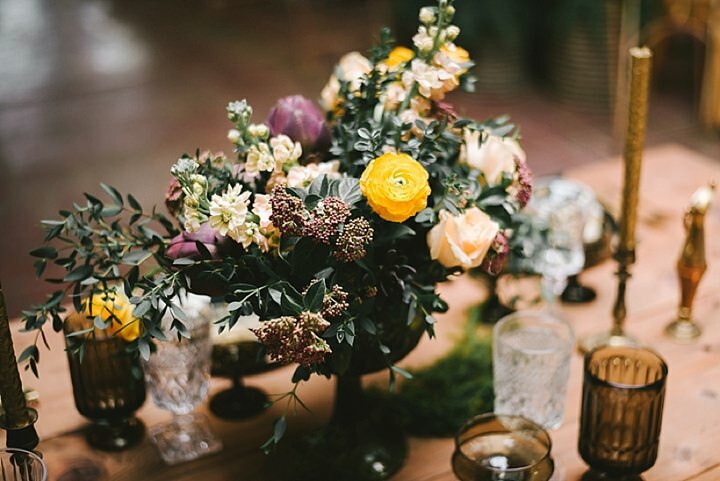 We were looking to create a mellow, earthy environment suitable for an actual wedding that might inspire brides to do things a little bit differently on their big day. 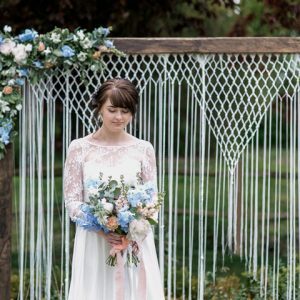 I feel like we definitely accomplished what we set out to do and more! 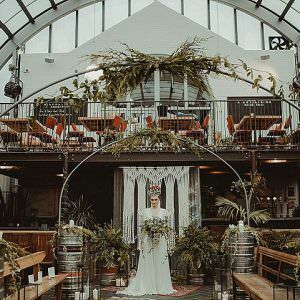 We incorporated vintage items, non-traditional elements and embraced the character of an urban setting, which ended up proving that bridal beauty can be found in unexpected places.